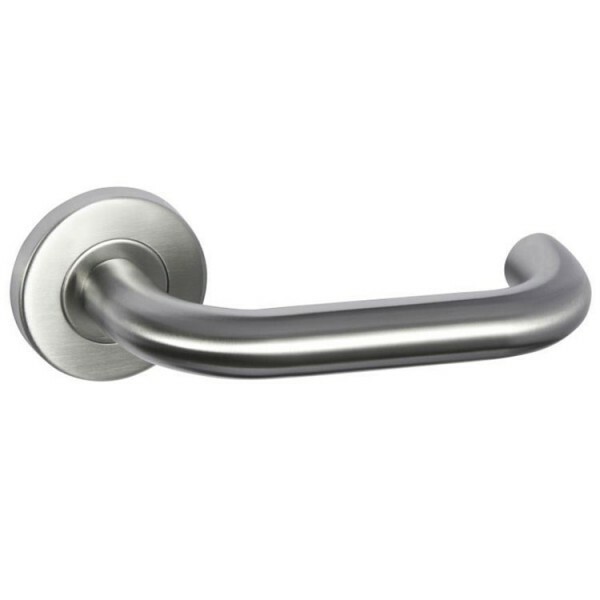 Union 1000 Series Lever On Sprung Rose Curved for wooden doors between 32 and 50mm thick. 19mm diameter handle. Supplied with bolt-through fixings. Concealed fixings. Non-handed. Assists in fulfilling duties required under the Disability Discrimination Act (DDA). Satisfies recommendations of BS8300 and Approved Document M (ADM) - subject to use on a contrasting background.